Workers at a Cumbria power station face an uncertain future after it was forced into receivership. Almost 50 staff at the Roosecote gas-fired station in Barrow are hoping a new buyer can be found for the plant. Owners Lakeland Power took the decision after it lost its only supply contract. Receivers say a number of power generation companies have expressed an interest in taking on the station as a going concern. The station has not produced any electricity since November 2002, when its contract with TXU Europe collapsed. 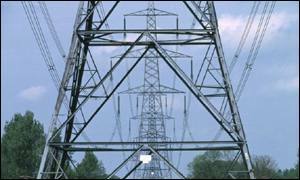 The crisis has been blamed on falling UK electricity prices. A spokesman for receivers KPMG said: "I think there is a very good prognosis for the power station. "I can't believe an operation that has operated so successfully is suddenly surplus to requirements." A spokesman for Furness Enterprise, said: "We have offered the company whatever help we can to try to safeguard employment at the site."